I took a break from working on my projects and commissioned patterns to make something just because. 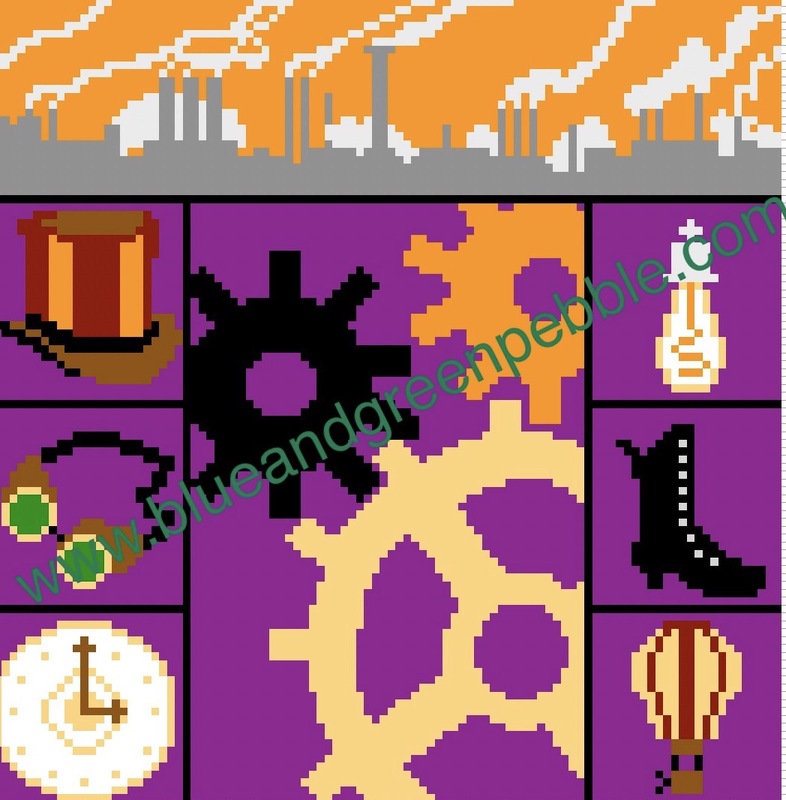 My newest pattern, if any of y’all like steampunk. There’s also a robot square and an octopus square that can be substituted. If I ever get time to make something for myself, maybe this will be it.